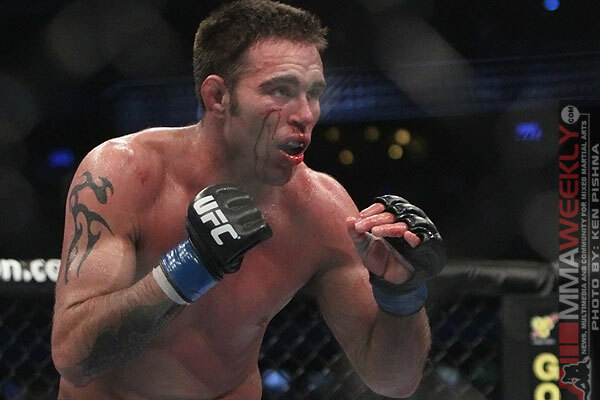 When welterweight’s Jake Shields and Demian Maia were announced as the headliners of UFC Fight Night 29 in Barueri, Brazil, most fans and pundits expected a drawn out 25-minute decision, laden with world-class jiu-jitsu. 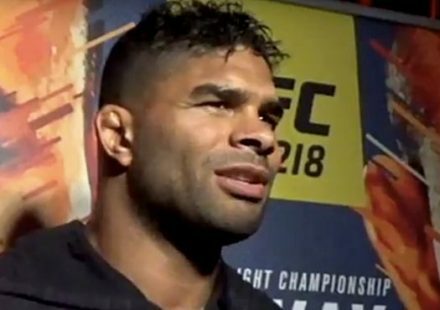 Well, luckily for fans of good old-fashioned ground battles, the main event emanating from the Ginasio Poliesportivo Jose Correa did not disappoint. The opening frame saw a brief feeling out process between the American jiu-jitsu practitioner and his Brazilian counterpart. Soon after, Maia lunged forward for the first takedown attempt with a forceful single-leg shot. After roughly a minute of jostling, Maia earned a trip takedown and began his attempt at controlling the Cesar Gracie black belt. Shortly after the initial takedown, a scramble ensued. As the fighters came to their feet, Maia leaped onto Shields’ back and was looking for a rear-naked choke. Shields, in a moment of sheer poise, swung the Brazilian off his back and landed into half guard. Now with Maia on the mat, Shields proceeded to spend the final two minutes of the first round drilling his opponent with short elbows and peppering ground and pound. As the final seconds ticked away, Shields was landing scoring elbows and seemingly won the very close first five minutes. Early into the second round, Maia shot another single-leg takedown, and then turned it into a high-crotch attempt. However, Shields used Maia’s momentum, turned into him, and drug him to the canvas just 45-seconds into the frame. The majority of the second played out much like the first, with Shields controlling his base with textbook precision, all the while landing short elbows and methodical groundwork. As the third round began, the scorecards were close, but this writer had the action two rounds to none in favor of the American. Round three saw both Shields and Maia’s best moments of the fight. Maia began the round with accurate punches and a stiff left hook that connected to Shields’ head. Shields then shot for a takedown after being touched, and Maia whipped him into the cage, using underhooks to clinch with him against the Octagon fence. Continuing his momentum with just over three minutes left, Maia unleashed a flurry while the fighters separated from the cage. Feeling the pressure, Shields shot for a takedown, and Maia, in a moment of sheer BJJ wizardry, jumped onto Shields’ back looking for a submission. This is when Shields took control. 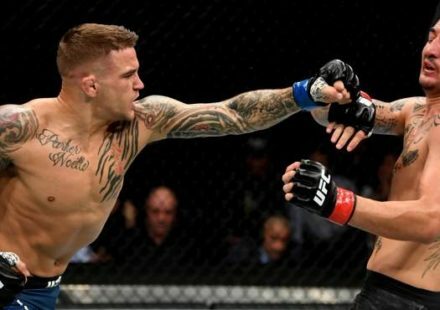 With Maia on his back, Shields shrugged him off with a slick reversal and spent the next two and a half minutes peppering the Brazilian with short elbows. It was surely a beautiful sight for ground-fighting enthusiasts. With rounds 1-3 arguably going to Shields, Maia needed rounds four and five to be competitive. And by most accounts, the Brazilian won those much-needed rounds. As Shields’ takedown attempts and control waned in the championship rounds, Maia took control. Both rounds saw Maia control Shields with a textbook sprawl and stiff offense on the feet. When Shields made an attempt to bring it to the ground, he looked lethargic and at times uninspired. He was in a dogfight, and Maia was gaining momentum. There was little question that Maia won the final two rounds, albeit visually lackluster at points. In fact, at one point in the fourth round, referee Marc Goddard stood Maia up from Shields’ guard due to lack of action. Still, Maia most likely won those final rounds, but they certainly weren’t “career rounds” for either combatant. When the scorecards were read, most expected a split decision. 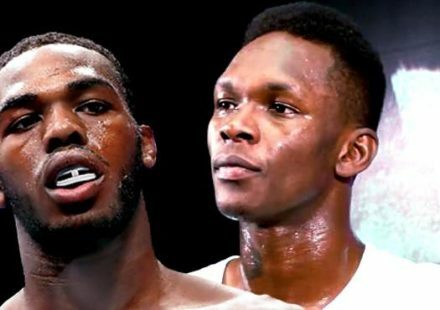 Normally, such a close fight would be seen as an advantage for the hometown fighter. And seeing as Maia was a native Brazilian, most believed the decision would fall to his favor. However, in a somewhat surprising announcement, Shields was awarded the split-decision nod with the scores 48-47, 47-48, and 48-47. 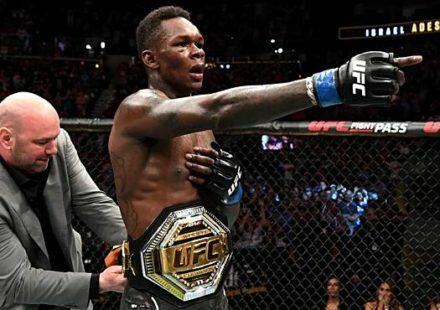 Following the fight, a swollen and exhausted Shields took to the microphone to praise the man who gave him one of his toughest fights in his career. For Shields, he commented that it was actually the fifth round that he thought won him the fight. However, to be fair to Shields, he did just go through a 25-minute fistfight. This was Shields’ third split-decision win in only four UFC victories, and it arguably was his most hard-fought and well-earned of the bunch. 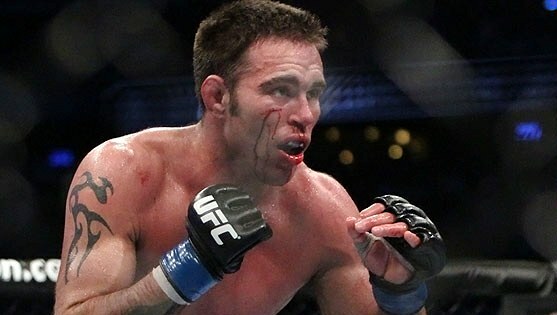 With three wins in a row after suffering a brutal first-round knockout at the hands of Jake Ellenberger in September 2011, Shields is finally poised to make a return run at the welterweight championship currently held by Georges St-Pierre, or at least put him in top contention with the heavy players in the 170-pound division.